Please excuse me as I faint from this marvelous combination of fringe and fur. 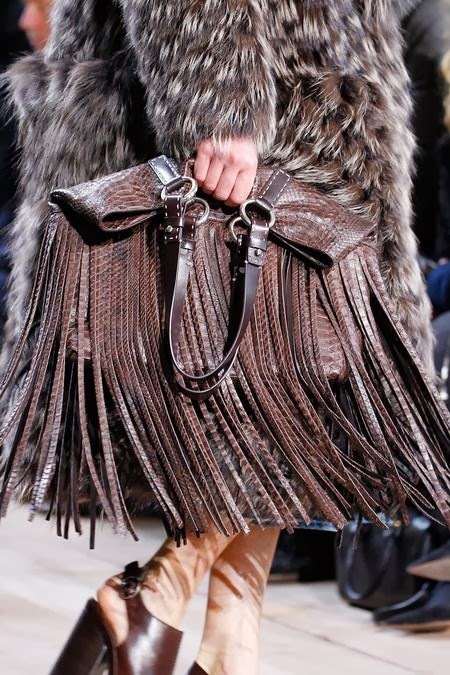 Oh my G O S H. Love is always on my side for a good fur but now adding fringe catapults it to another level. With this rush of a feeling I am led to recall from my memory donating this fringe bag a few months ago. WHY??? Did I do that? Stupid move. I'm still holding on strong to this fur coat but now I for sure will be on the hunt for fringe worthy items.